air-conditioned accommodation and a tour desk. Free Wi-Fi is available throughout. 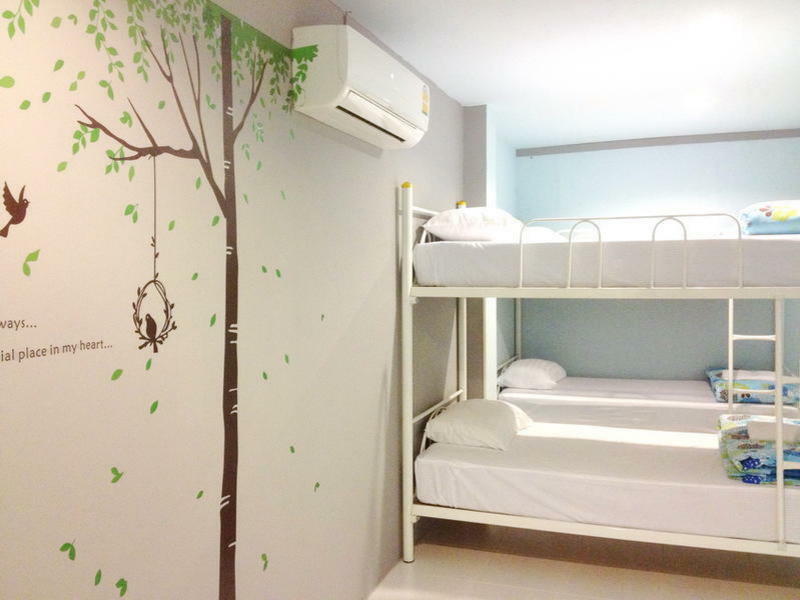 Phuket Blue Hostel offers private rooms with balcony and bunk beds in dormitory rooms. The bathrooms en-suit also come with a hot shower. Laundry facilities are also offered. Phuket Blue Hostel just 6 km to Tiger Kingdom and from Phuket Airport is only 45 mins. Free private parking is avialble on site. We offer a large range of trips and tours including trips to Phi Phi Island, James Bond Island, Raya Island, White Water Rafting, Elephant Trekking . Airport Bus terminal 5 mins from our hostel , and airport taxi , join minibus to phuket town.